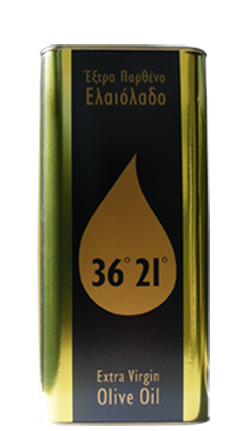 Living in a country with such unique geomorphological and climatic conditions, where olive groves cover miles of its varied nature, we know first hand that olive oil is vital for a healthy lifestyle. Not only does introducing it as part of a balanced diet aid towards the improvement of a number of health problems, but it can also have a preventive effect. This is why we help you make 36°21° part of your everyday life with the 5L container, ideal for both home and professional use. *Available in a tin container.